Losing a pet can be very stressful and below are a few tips to get you started following the proper steps to bringing you furry friend back home safe. If you any questions please visit our Facebook Page to send us a message and we will be happy to help. I want you to keep in mind your dog may not come to you if you call their name(This is very common). When dogs get out, they enter fight or flight mode and most choose flight. They do not take to the time to say “hey you’re my Mom or Dad” or just someone trying to help. Even the most trained dog may run away. It is critical that people know not to call or chase after your dog if seen. This action will only scare them and potentially put them in harm’s way. We encourage owners to watch this video shown below about CALMING TECHNIQUES. IMMEDIATELY, look thoroughly within your neighborhood or area where your dog went missing. Do Not Call or Whistle for Your Dog!! They can sense the tension and anxiety in your voice and it makes them think they are in trouble. 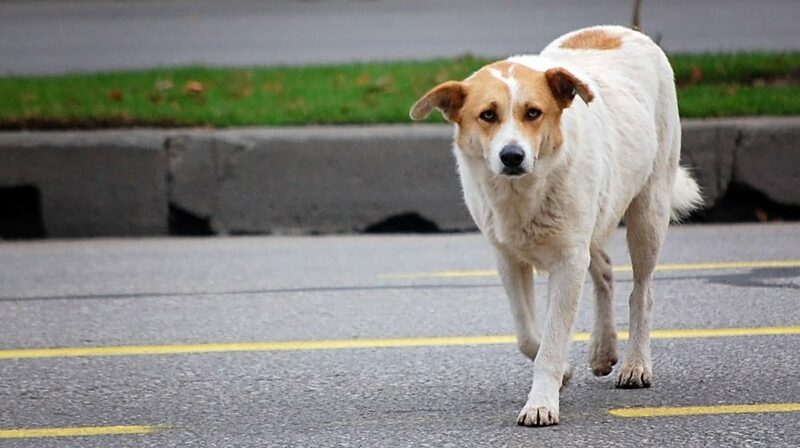 Do Not Chase a Lost Dog On Foot, Car, Motorcycle, Quad, Side-By-Side, Etc.. – No matter how fast you think you are, a scared dog runs on adrenaline and they will run faster and farther away from you. The noise from the motors will scare them away before you even get near them. If your pet has a MICROCHIP, call the manufacturer to make certain your contact information is correct. Contact your local shelters, veterinary offices and police to file a Lost Dog Report. PHYSICALLY go to and walk throughout local shelters. Ask your local animal shelter what their stray hold policy is and physically check the shelter accordingly. PLEASE, DO NOT rely on only calling the shelter or expect shelter staff to know whether your pet is located at the facility or not, most shelter staff answering phones are not aware of every animal located within the shelter at any given time and database information on incoming animals could be incorrect when running a data search. Post your lost pet on social media and lost dog websites. Create Flyers to handout and Bright Neon Posters to hang in the area where your dog was last seen. Click Here to learn how to make the Bright Neon Posters. Create a large poster for your front yard to let everyone know that your dog is lost. Go DOOR TO DOOR: Visit each neighbor and business within a 5 block radius of the area your dog went missing. Provide each person a flyer and if they see him/her please call your number instead of calling the dogs name. If you do not find your dog or receive sighting information within 3 days expand radius outwards. Also provide a flyer to all Postal Carriers, Delivery personnel, garbage collectors and contractors working in the area. Please note, it is a Federal offense to place items in someone’s mailbox. You can tag your car with neon markers and a picture of your dog creating a mobile billboard. Click Here to learn the proper way to tag your car. Instruct anyone that sees your dog to NOT CALL or CHASE your dog and to call your phone number. If you see your dog, Do Not Make Eye Contact. Make slow movements, sit or lay down while turning away so that your shoulder is pointing towards your dog. This puts you in a less threatening position. Do Not Reach for Your Dog, your dog has to become comfortable with you all over again and realize you are not a threat. OUr general rule is that the dog must touch you first more than once before you can try and put a lead on them. Some recovery technicians may spend hours sitting or laying down with a lost dog just to make sure the dog will allow them the moment to capture them. This process cannot be rushed and really should be performed by a trained Missing Animal Response Technician. When making posters, flyers or providing information online…keep 1 obvious detail/identification out of the information. When someone calls claiming to have your pet, ask questions pertaining to that particular identifier so you will know for sure it is your pet. Never Go Alone!! Always have someone accompany you when meeting a stranger to pick up your pet. MOST OF ALL, please remember to take care of yourself! Constantly take breaks from searching, think encouraging thoughts and regroup when needed, jeopardizing your health will not help you or your pet!